As BMW’s i8 coupe approaches half a decade on our roads, the Munich firm has given its petrol-electric sports car not only a mid-life facelift, but also increased its electric driving range. Far more obviously, however, it has doubled the number of models in the line-up with the introduction of an i8 Roadster. This new variant has been created in response to customer demand. BMW’s product planners had never intended for the i8’s carbon tub to be used without a roof, which meant there were a few hurdles to get over before the Roadster could be revealed at the LA motor show at the end of 2017. But the result is an open-top two-seater that loses none of the original coupe’s design impact and increases the appeal of this unique hybrid sports car. The three-cylinder, 1.5-litre turbocharged petrol engine is untouched in the i8 Roadster, producing the same 228bhp and 236lb ft as it has since the Mini-sourced unit was positioned behind the rear seats and ahead of the rear axle in the original coupe. The six-speed auto remains the same, too, sending drive to the rear wheels. The battery pack for the front-mounted eDrive electric motor now features denser cells for an increased energy storage capacity (up from 7.1 to 11.6kWh). 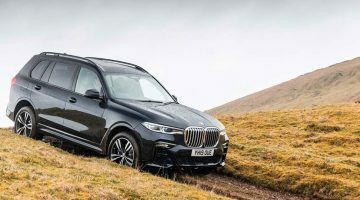 This permits an increased electric-only driving range – up from 20 to 33 miles – as well as the mildest of power hikes for the electric motor – up 12bhp to 141bhp. 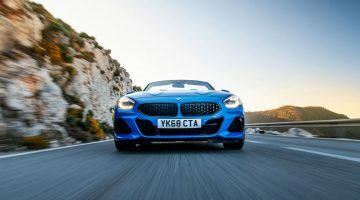 When working together, the petrol and electric motors now offer combined power and torque outputs of 369bhp and 420lb ft respectively, resulting in a 0-100kph time of 4.6 seconds (0.2 seconds slower than the coupe) and a limited top speed of 250kph. Away from the battery cell improvements (see above), the big technological change to the i8 Roadster is the one made to the car’s structure in turning it from a coupe to a convertible. With the i8 never originally designed to be an open-top car, BMW’s engineers literally took a saw to an i8 coupe’s roof and cut it off. When the carbon tub didn’t flop around like a teenager with no access to free Wi-Fi, they embarked on a development programme to bring the car to market – not that this was without its challenges. While the carbon tub retained the vast majority of its rigidity once the roof section had been removed, BMW has still added a plate to the underside of the tub to locate all four-corners as tightly as possible. The A-pillars and windscreen header rail have also been strengthened, but not by inserting steel into their hollow chambers, rather by adding a few additional layers of carbonfibre. One of the few all-new parts, along with the fabric roof, are the butterfly doors, an item that neither BMW’s customers nor BMW themselves would entertain sacrificing. They don’t look much different but both doors and hinges are new to compensate for the new roof arrangement. Engineers also discovered that warm air from the front-mounted radiators would roll into the cabin with the roof down, so the nose vents were closed and the warm air redirected through the wheel arches. The aero issues that fix created were also solved, using a new splitter under the front bumper. As for the roof, a metal opening number as per the BMW 4-series was never considered due to weight, complexity and space requirements. Customers also didn’t want a lift-out targa-style panel, so an electrically operating fabric item was the only consideration. The rear seats have gone as a result and a 100-litre storage cubby implemented, so some practicality has been retained. To prevent the roof material ‘ballooning’ when the hood is up and the car travelling at decent speeds, BMW’s engineers inserted a composite panel at the front of the roof between the layers of fabric. Whatever compromises cutting the top off the coupe might have resulted in, they’re more than offset by the chance to experience the i8’s talents with the wind in your hair. That begins with the relatively unique experience of driving in electric power alone. The updated i8 will do that for longer than before, comfortably capable of the 30-odd miles BMW claims if the batteries are full, and it’s an experience few electrically-powered cars – only the original Tesla Roadster, electric Smart Fortwo Cabrio and (if you stretch the definition a little) the doorless Renault Twizy have so far offered. Regular soft-tops already allow you to experience more of the sights, sounds and smells of the world around you, and with the engine off the i8 Roadster only amplifies that. Outright performance in EV mode isn’t spectacular, though there’s enough torque to trouble the front tyres out of tight corners and even overtake the odd dawdler (before the engine kicks in again at 75mph or so), but you do get to enjoy a Le Mans Prototype-style whooooeeeeee noise under acceleration and deceleration that’s far more appealing than you might have expected. That noise is still apparent when you knock the gear selector into Sport and the engine kicks in. In this mode the motors offer their full assistance with every prod of the throttle and acceleration is amusingly rapid. Again the electric power enhances the experience, helping to punch you hard out of tight turns, accompanying the three-cylinder engine note (which is itself boosted through the car’s speakers – less inappropriate in such a tech-laden car than in say, a hot hatchback) and increasing the feeling of engine braking as they regenerate energy into corners. It still falls some way from being the perfect sports car, and with limited luggage capacity and a small fuel tank it’s got a few black marks as a GT too, but the i8 is undoubtedly still a fun car to drive. There’s more grip than before (though the front tyres are still a limiting factor and do begin to squeal relatively early), and the glassy steering is accurate and relatively consistent so you quickly gain confidence. 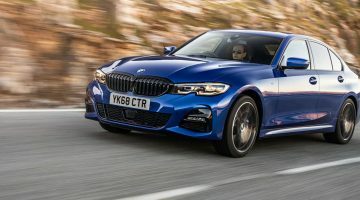 It’s a firm car, but like the coupe, the stiff chassis means the springs and dampers can at least maximise their abilities and the ride is rarely uncomfortable. The brakes are less confidence-inspiring, with a soft feel to the pedal and one that can change depending on what the electrics are doing at any given time – but since the i8 Roadster encourages a more flowing driving style, the incentive to stand on the anchors at the last second is never really there anyway. Better to accelerate and brake smoothly but insistently, build cornering loads progressively rather than lobbing it into turns, and use the all-wheel drive traction to fire you onto the next straight with an LMP-style soundtrack. Dynamic compromises from the roof are few. There’s a little more shimmy than in the coupe but you wouldn’t notice the extra 60kg unless you drove each back to back. It hasn’t harmed refinement either – there’s some buffetting from the buttresses at higher speeds with the roof down and a rustle around the A-pillars with the roof up, but this is a car, helped by its smooth drivetrain, great seats and low road noise – that you’d be happy to cover distance in. BMW will charge you $159,273 for an i8 Roadster, and it’s a car that has no direct rivals. For a drop-top alternative, therefore, look towards Jaguar’s F-type SVR Convertible at $150,884 or Mercedes-AMG’s GT Roadster at $149,995, both of which offer very different driving experiences from the BMW and have drivetrains that are light years behind the i8’s.